The Houston Astrodome was added to the National Register of Historic Places today, seemingly granting it a modicum of attention and protection against its imminent demolition. But not so fast—the fate of the world's first domed stadium is still unclear. Is the Long-Abandoned Astrodome Worth Saving? 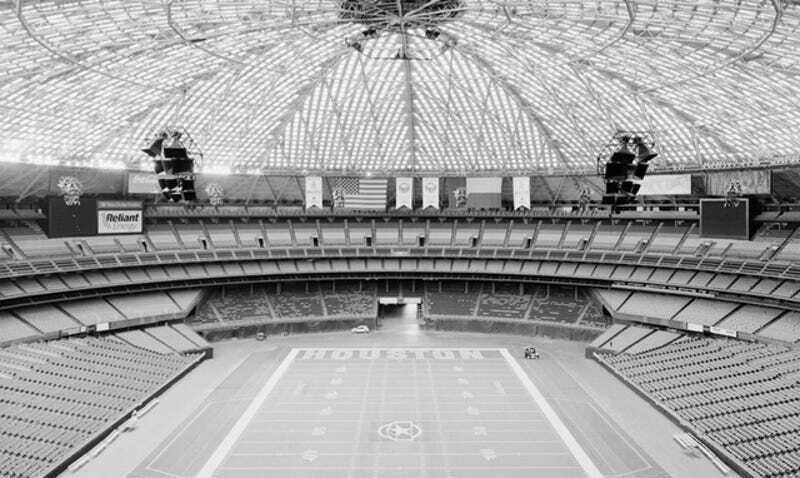 It's been 15 years since a NFL game was played in the Astrodome, which opened in 1965 and was hailed as a technological marvel—the "eighth wonder of the world" according to some. But it was abandoned in 1995 due to its dilapidated state. By 2002, Houston had a new NFL team and a newer, better domed stadium to go along with it. The Astros left for Minute Maid Park in the late 90s. The Houston Rodeo also abandoned ship in 2002. The future of the Astrodome has hung in the balance ver since. Today, the National Park Service added the building to the National Register—which, to many, seems like a positive sign. But it turns out that the designation doesn't exactly renege its endangered status. According to a Harris County spokesperson, it simply offers tax incentives in the event of a renovation—any investment in the building would glean a 20 percent tax credit.